Before you start reading our Wolverine boots reviews, you should know that they have been in the business of constructing quality work boots for 137 years. Their motto is “Strong Soles for Sturdy Shoulders” which reflects what the company is giving its customers. Engineered for comfort and highly durable, Wolverine strives to deliver premium work boots for men and women at an affordable cost. Boots come in black and brown colors and are available with a soft and steel toe. In addition, insulation and waterproof options are available. Wolverine boots are a top brand name in work boots, and they have made it to our list of the best. Best for: Jobs that require a lot of walking, Warehouse workers, Roofers, Landscapers, Property managers, Farmworkers! 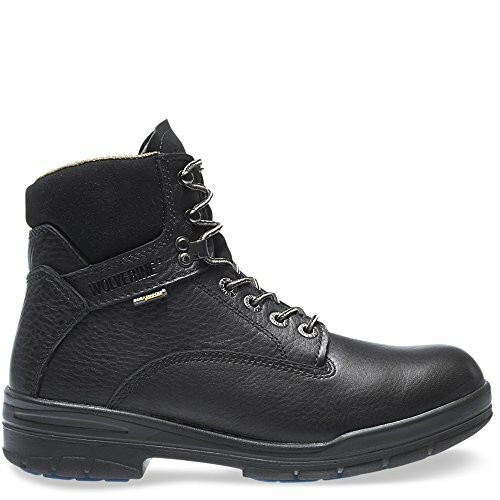 This flexible, lightweight, waterproofed Buccaneer Boot for men is designed for movement. Remain comfortable with thick cushioning in the footbed and padded collar. A 6” lace-up leather shaft keeps your ankle supported while the mesh lining manages moisture content. The outer portion of the boot is constructed with smooth, full grain leather, accompanied by a rounded toe. The Wolverine Buccaneer is completely waterproof, which is essential for an individual who works outdoors. Not only do your feet stay dry, they also remain warm in colder temperatures. 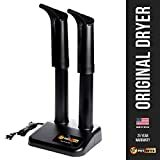 Excellent support for feet and ankles, after the initial break in the boot, fits like it was made specifically for you. These boots are created for long wear and walking. Feet are kept comfortable from the thick cushioning, alleviating any pressure or shock from continuous movement. Break in time takes a little longer than expected, however very comfortable after that initial time. Plus, Wolverine offers a 30-day comfort guarantee, and will offer you a full refund if you find these boots aren’t right for you. Laces tend to break easily; this probably can be prevented by tightening boot from the bottom up. We believe these boots were designed exactly for their purpose and that is to provide comfort to those who remain on their feet for long periods of time. Whether you’re a golf course superintendent subjected to grassy terrain, or a warehouse worker pounding the pavement, you can rest assure that your feet will thank you in these boots. 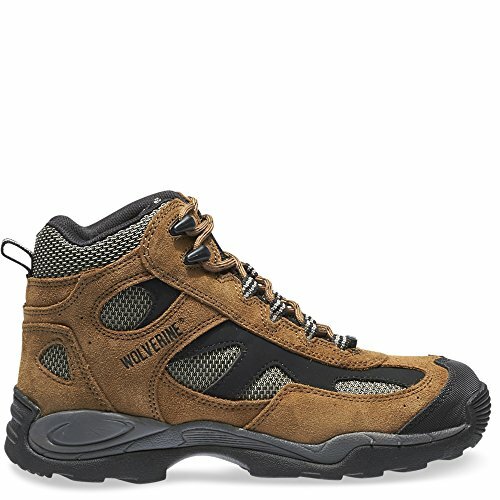 The Wolverine Guardian is a 6” nylon shank boot constructed in full grain leather with removable full cushion insole. It’s carbon fiber, rounded safety toe, gives that added protection when needed. A CK Mesh lining is moisture controlled to help prevent interior sweating. In addition, these boots have a slip resistant sole to keep you steady on your feet and are electric shock resistant. Unlike other safety toe boots, these are particularly lightweight and easy to wear. Comfortable right out of the box. These Guardian boots do not require a long break in period. Perfect for wide feet, the rounded toe allows for some additional room without feeling cramped. These boots are not waterproof and are not beneficial in the snow. You can, however, apply a water-resistant or sealant to the boot to help. If you are looking for a lightweight, comfortable, safety toe work boot that you can wear all day without issues, then this is a great boot. It’s designed for dry weather, so we wouldn’t recommend it for the seasonal changes. Our Wolverine boot review on this specific style allows our readers to know what they can expect out of this boot. Particularly, it’s designed for comfort in average indoor concrete, working environments, such as a warehouse or shop, but can also be great for an everyday shoe as well. The Durashock SR boot is as tough as they come for a work boot. They offer every aspect needed to feel confident on the job knowing these boots are designed to keep you safe. The advanced slip-resistant tread keeps you secure on your feet even in wet conditions. A polyurethane outsole resists stains such as oil. Plus, the leather upper keeps water out but allows your feet to breath, keeping them comfortable and dry. Absorbing four times the shock force as rubber, but lighter by 1/3, the removable dual-density, polymer footbed is an added comfort. There was only one issue that we could find with these boots, they are not waterproof just water resistant. However, waterproofing applications could help with this. We honestly don’t have anything bad to say about these boots. These boots are designed to hold up to just about anything you can throw at them. They are perfect for the construction worker, engineer, electrician, and several other occupations that require extra safety measures in the field. Plus, the added shock absorption sole takes in all the pressure and stress before reaching your feet and legs. This athletic boot is a mid-length boot with a static-dissipating steel toe that keeps you from getting shocked while working around electricity. The steel toe provides ample protection from impacts, such as kicking hard surfaces. Constructed with a tough, split suede leather and mesh upper that breathes, they are not only comfortable but stylish as well. Also, the slip-resistant outsole is stain, oil, water, and abrasion proof as well. Great for people with foot problems such as Plantar Fasciitis. The boot as comfort padding in just the right areas and allows you to move with ease. Follow up with work boots for Plantar Fasciitis. Fits true to size, very comfortable right out of the box. Forms to your foot like a glove. Insole is flat, however, for additional comfort if needed you can layer with another insert. The support is slightly stiff for a few days, but after, they loosen up for comfort. They are not designed for really cold weather, if you require a boot for winter; we would suggest another insulated style. Overall, these are a nice, durable athletic boot for those needing the added protection of a steel toe in their work place. Furthermore, they are static resistant, so working around electricity and other delicate electronics you can feel comfortable knowing you’re not going to get shocked. These boots are not waterproof, but are water resistant so we wouldn’t suggest wearing them in heavy rains, or where your feet would be subjected to copious amounts of water. The SD Mid work boot proves to be durable, long lasting and comfortable. Check our waterproof work boots page in case you need one! Just like many other boots we review, our Wolverine boots reviews give you an honest opinion of a top brand that deserves recognition. As far as what they claim, their boots stand up to the test. We have no doubt you will be happy with the Wolverine brand as they offer a wide variety, selection, and styles to accommodate your feet and needs in a large range of working environments.